Can my school do a PO? / I need a W-9 to setup a new vendor at our school. 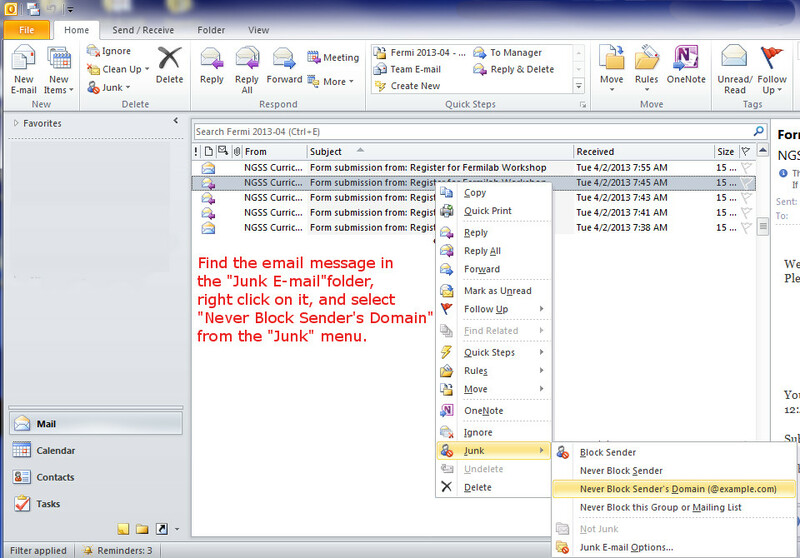 First, look in your "SPAM" / "Junk E-Mail" folder. Most people will find our email there. Then add us to your contacts. Most email programs will assume that you want emails from your contacts and will not put email from them in the SPAM folder. Some programs (like Outlook with Exchange) will allow you to also add individual users and entire domains (preferred) to the program's "Safe Senders List". This is highly recommended if your email client supports this. 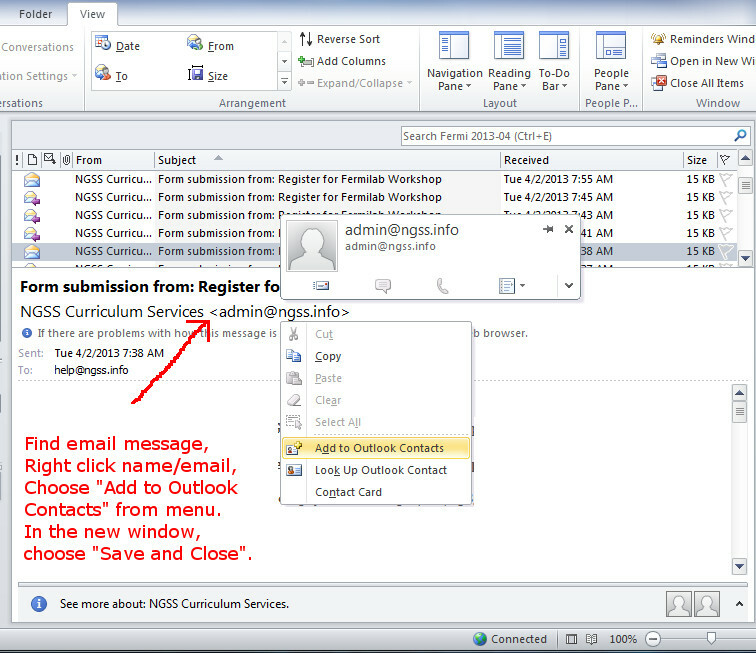 For examples on performing these steps in Outlook, see: Add Contact to Outlook and Add Safe Sender to Outlook For Gmail, add address to contacts and see this article for more information. Second, if you are sure our email never made it to your account (not in Inbox or SPAM folder) and you are using a school/corporate email, contact your IT Department; Ask them to "whitelist" our domain (ngss.info) in their SPAM program. This will tell the program not to block emails coming from our domain. This is the least desirable solution, but they may have others depending on their SPAM program. We prefer that you do a "check request" or pay and get reimbursed whenever possible. THIS HELPS KEEP OUR COSTS (WORKSHOP PRICES) DOWN. Some districts will insist on setting us up as a vendor and issuing a PO. We understand that this is sometimes necessary, especially for multiple registrations from a district and will accomidate this as a last resort for individual attendees. Email us at help@ngss.info with the district billing information (name, address, contact, telephone) and the workshop name/date and the registered attendee names. We will issue a invoice and can work with your district to supply any additional information needed to setup our vendor status. NOTE: NetSpec, Inc is responsible for organizing the workshop including all online services and billing.